The site branded as Georgioupoli Hotels was designed to introduce visitors to Georgioupolis to the natural beauty, the cultural treasures, and the architectural and monumental landmarks of the region, but also to showcase accommodation, services, and restaurants of three hotels in Georgioupolis: Anemos Luxury Grand Resort, Mythos Palace Resort & Spa, and Eliros Mare Hotel. Here is a short introduction to every hotel and resort you will find on Georgioupoli Hotels. As its name implies, Anemos Luxury Grand Resort is a 5-star destination, which offers all the luxury you expect for the perfect Cretan holiday. It boasts 24/7 front-desk service, free parking, free WiFi, and a secluded location with private Blue Flag beach. Anemos Luxury Grand Resort caters to leisure and business travelers alike. It has peaceful accommodation for couples, but also lodging designed for families with young children. The resort welcomes VIPs too and offers individual experience packages for travelers who want to get more out of their stay on Crete. Even filmmakers favor our resort as a luxury location worthy of Hollywood scenes. As far as dining is concerned, foodies will love this destination. Book directly on our website for all kinds of special perks. 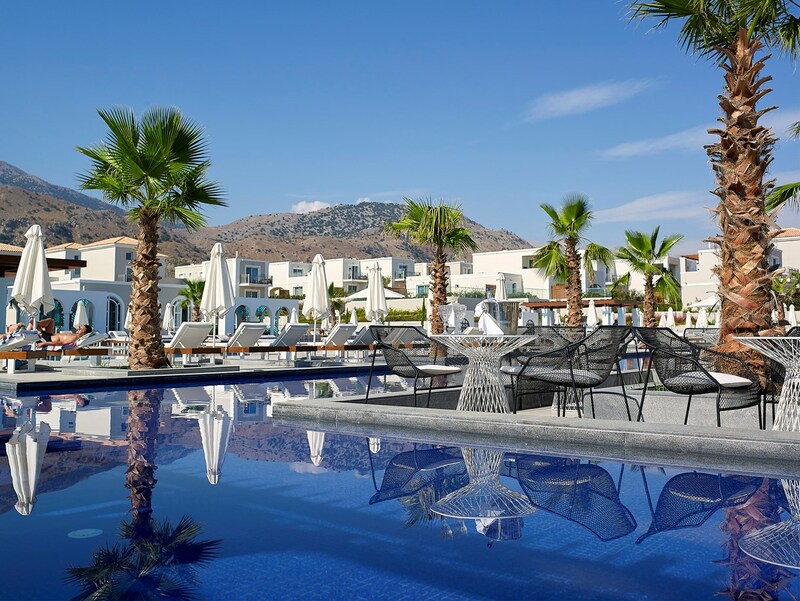 The Mythos Palace Resort & Spa is the second in the collection of Georgioupoli Hotels presented on this blog. 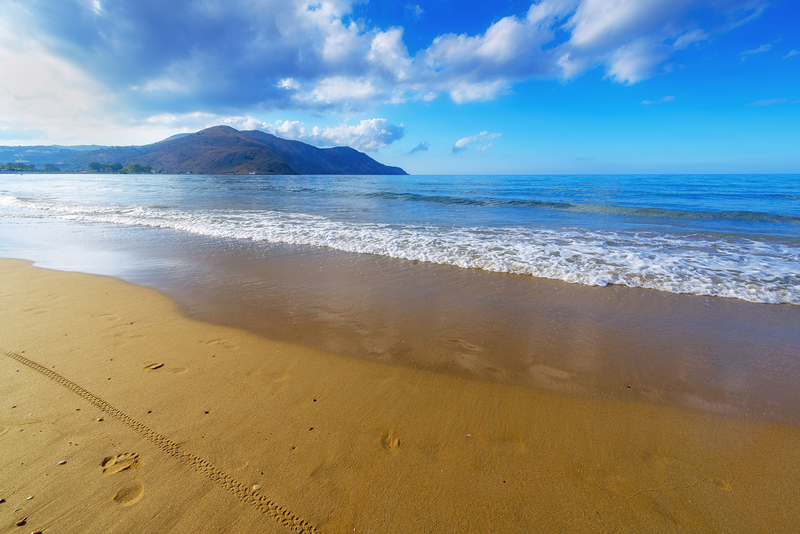 It is a 5-star address with a sandy Blue Flag beach, only four kilometers from the center of Georgioupolis. 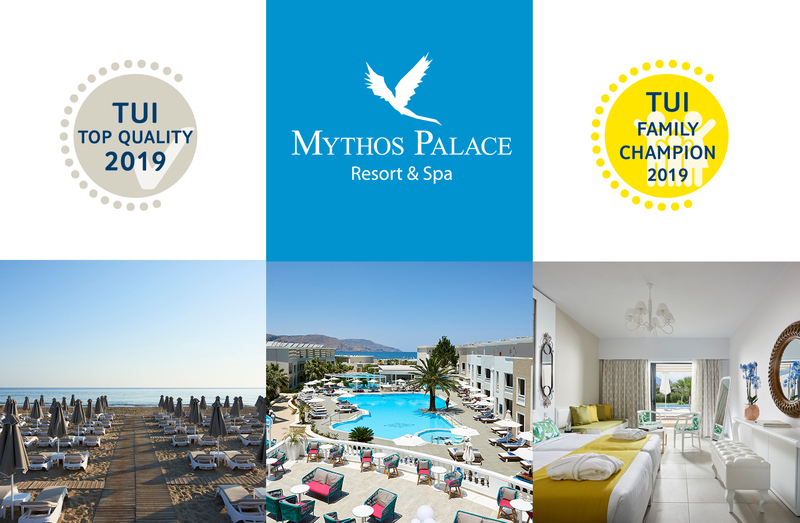 Like Anemos Luxury Grand Resort, Mythos Palace Resort & Spa is family-friendly and offers free parking, free WiFi, and a suite of other perks for guests who book directly on our official site. Facilities include a creperie, a beach bar and a pool bar, restaurants, full spa, mini market, jewelry shop, and much more. Check out the activities available for the little ones too. Last, but not least, Eliros Mare is a beachfront hotel at Kavros, four kilometers from the center of the traditional Georgioupolis fishing village (now a bustling summer resort). Its private Blue Flag beach is family-friendly and ideal for lengthy stays. 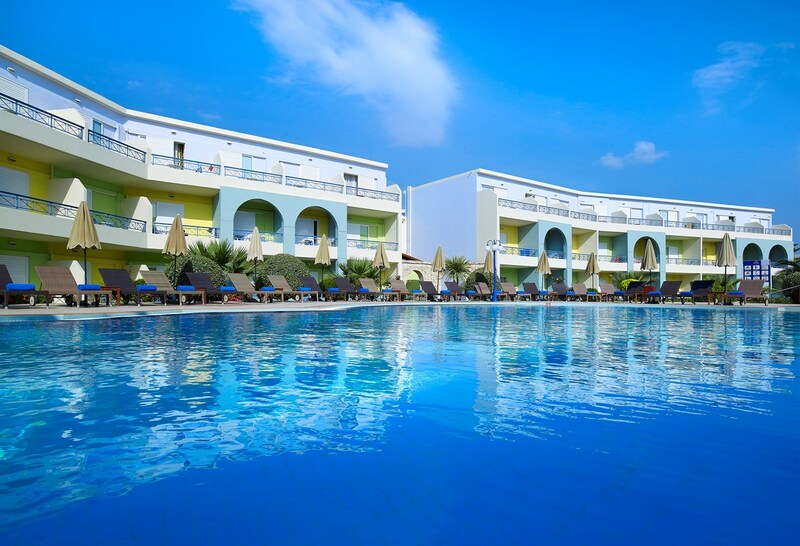 Eliros Mare Hotel boasts all kinds of facilities and amenities, including kids’ club, wellness services, free WiFi, free parking, and a wealth of other perks for returning guests and for guests who book directly on our official website. 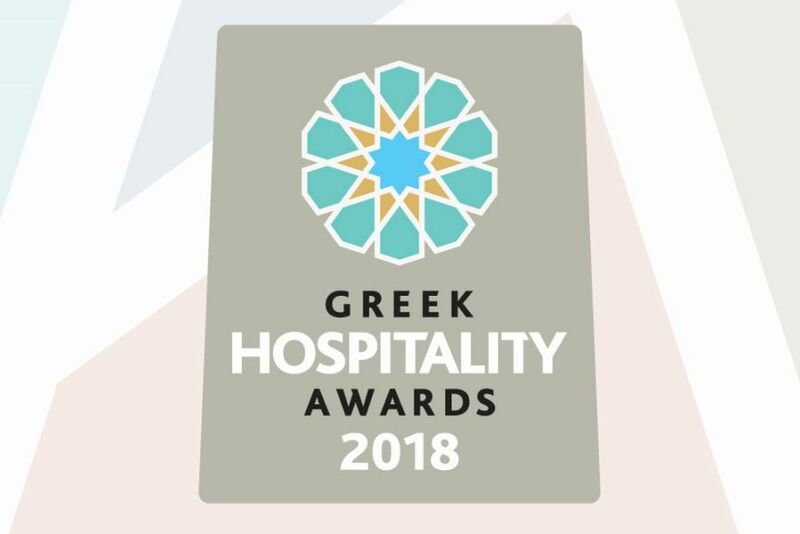 3 βραβεία για το Mythos Palace Resort & Spa στα Greek Hospitality Awards 2018!